This opening paragraph from McGuane’s The Longest Silence simply stuns me. In four short sentences, he’s expressed my deepest feelings, thought impossible to communicate in such stark and eloquent language, about my sport. It describes precisely why the one fish day is the cornerstone of my fly-fishing passion. 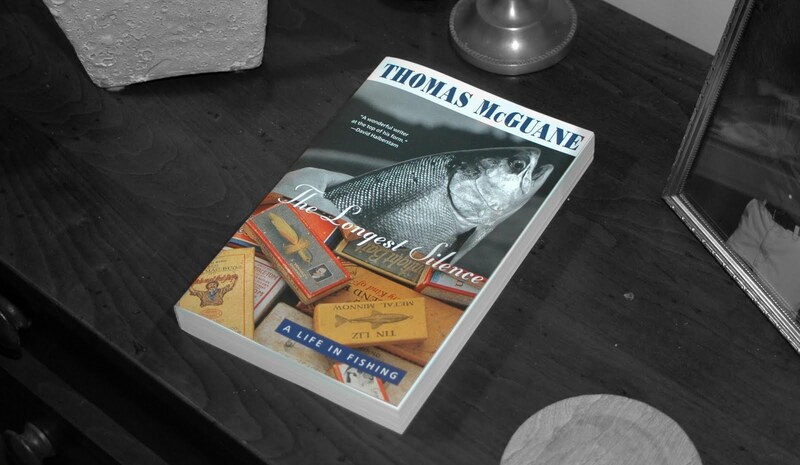 McGuane’s short work describes his long-suffering pursuit of the elusive permit, but the central theme, the nobility of striving for that which is difficult and beautiful, rings universally in my endeavors. It’s the long silences, those periods spent immersed, quite literally, in my waterways while emotionally lost in the nature that surrounds me, be it on a mountain stream, a rural river, or even on the open road, that defines me as an angler. It’s those uninterrupted periods, without work, without phones, without humanity, and quite often without fish, that I think about, that I look forward to, when my mind turns to fishing. Not the big fish. Not the fifty fish day. Granted, the overarching objective is to catch fish and my focus is always directed to that end. And there’s no denying that a big catch count can make for a memorable day. But, to use the old cliché, it’s the trip, not the destination, which provides the satisfaction. A one fish day, when it’s the right fish or the right day, sustains the gratifying fishing existence. And, as McGuane suggests, mastery of the fish, the conquest, the full stringer, becomes the antithesis of my pursuit. My goal is not to conquer fish, but to understand them, bring myself to their level - not to lord over them. But that’s where things get complicated. I still post pictures of Haw catches and trumpet the slamming of Roanoke stripers. The hunter-gatherer in me sneaks through now and again, as I’m sure it does in each of us. But I still catch and release. I still respect each fish. Each and every one pictured on this blog swam away, revived and free to continue it’s aquatic existence, carrying with it my apologies for the inconvenience. And while the fish pictures are pretty, it’s the Silence of the Solitary Fishman posts that come from deep within my soul and the Early on the Road reflections that describe fly-fishing’s true gift to my life. And The Longest Silence, from the first paragraph on, reminds me of that. Nice review. I'm going to need to get that book. Sounds up my alley. The hunter does sneak out in me and I saw it all the time at Weldon. How often do you see people treating fish like shad caught in a net? These fish have traveled hundreds of miles. Give the fish some respect. I have a problem with people treating fish like a trophy or prize instead of a living animal. Nice summary! I recently acquired this book and have been looking forward to taking some time to read it. That's probably the most common fishing quote ever, but I love it just the same. Because it's true of many pursuits, I think, especially ones enjoyed most by those with pure hearts. p.s. Though I did enjoy your "I caught hundreds" post, too. :-) But I'm not so pure at heart, perhaps. I had visions of hush-puppies and fried...aaah, never mind.